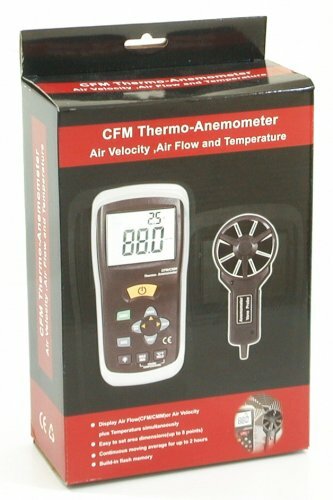 This is a brand new CEM DT-619 CE certified digital Thermo- Anemometer. This 2-in-1 meter measures the air flow / air velocity and the air temperature simultaneously. DT-619 has fast response, high accuracy design for the most demaning jobs. This device is a must have for measuring the wind speed (up to 108 Kmeters per hour) and air flow (up to 999.9 cubic meters per minute). The built-in thermometer measures the air temperature (up to 60 deg C) as the air speed is measured. DT-619 was designed to be used at home, office, factory or industrial building. This device operates on a 9V battery and is very portable due to its light weight. If you have any questions about this product by Ruby Electronics, contact us by completing and submitting the form below. If you are looking for a specif part number, please include it with your message.